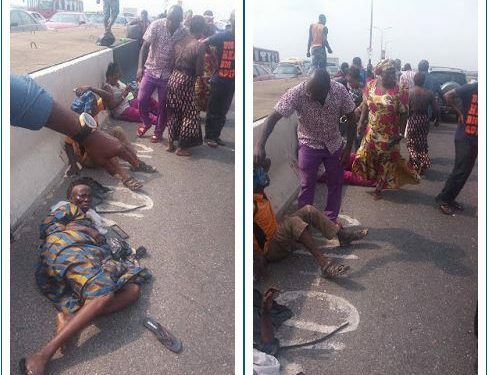 An accident occurred about an hour ago on third mainland bridge, leaving some people badly injured. 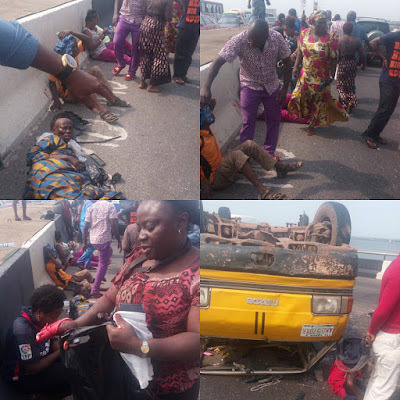 According to Facebook user, Moremi Ojudu who shared photos and live videos from the scene, the bus somersaulted after the vehicle’s back tyre burst while the driver was on high speed and lost control. An ambulance arrived later and took the injured persons away.